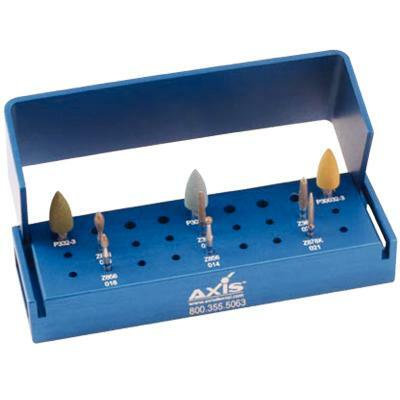 Logic Sets from Axis Dental consist of a system of instruments that are designed to achieve optimal results for restorations. A selection of Logic Sets have been developed by key clinicians and leading teaching institutions, as well as popular systems for CAD/CAM dentistry, preparation, finishing, polishing and provisional fabrication. The Bite Adjustment and Polishing Logic Set is perfect for adjusting and polishing porcelain and ceramic crowns. This kit includes 6 Zir-Cut diamonds and 3 NTI® CeraGlaze intraoral polishing points. c_Only one item can be personalized at a time. Please update your selection to one item. The item(s) denoted below (*) cannot be added to your cart. For more information, click HERE Please unselect this item(s) to proceed to your cart.